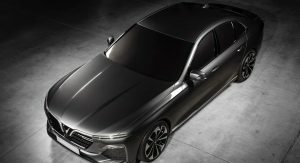 VinFast, Vietnam’s first car company, has lifted the veils off its two Pininfarina-designed cars set to debut at this years’ Paris Auto Show. 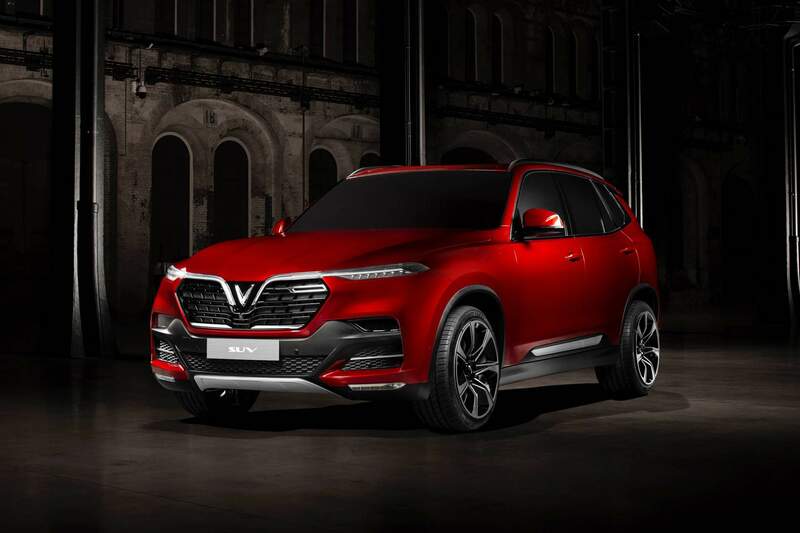 The sedan and SUV models have been designed for the company’s home market based on a selection made by the Vietnamese people. 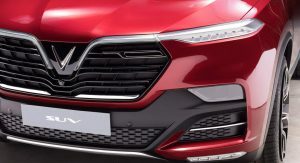 VinFast gave the people of Vietnam the opportunity to influence the styling direction at the very beginning of the design process one year ago. More than 62,000 people chose from 20 design sketches submitted by four major Italian car design houses. 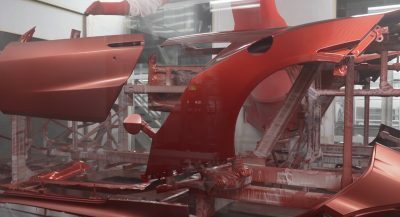 While ItalDesign’s sketches initially won the contest, Pininfarina was appointed to further develop and complete the designs. 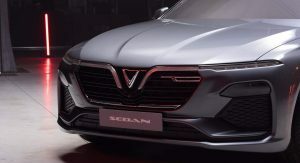 Labeled as premium products, both cars feature very similar front ends sporting a chrome V emblem at the center of the grille, a horizontal chrome splint that merges with the LED DRLs, sleek headlights, and an asymmetric chrome element. 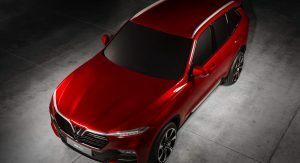 Highlights of the sedan’s design include the generous wheelbase, long bonnet, and horizontal body lines, while the SUV has a more muscular, sporty appearance. 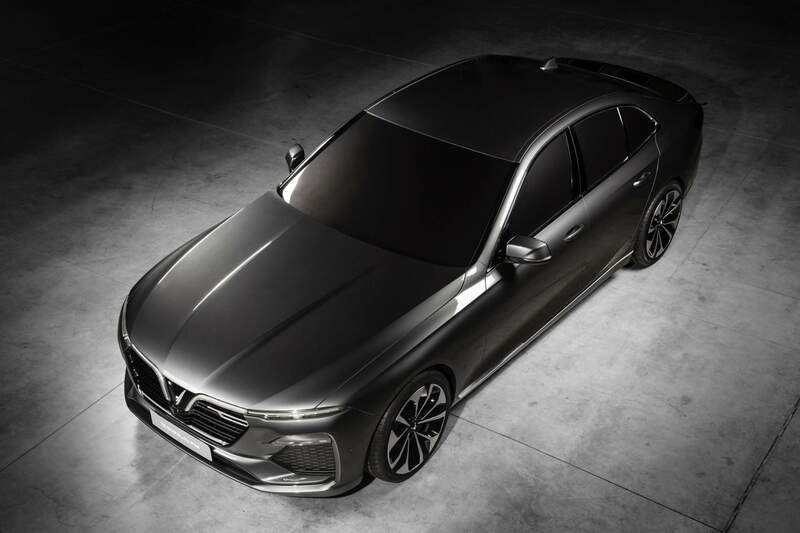 There’s no information on powertrains, but we assume VinFast will provide more details on October 2, when both the sedan and SUV will debut at the Paris Auto Show. 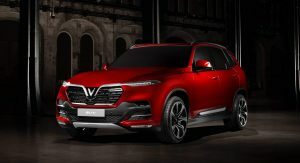 That’s when the company is expected to announce the names of the two models as well. 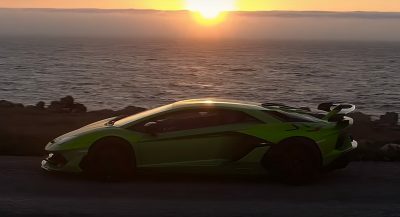 Following the world premiere, both cars will be introduced to the Vietnamese public by the end of this year. Exports to international markets are planned in the coming years but we don’t know which regions VinFast is targeting. VinFast is a brand owned by VinGroup, the largest private enterprise in Vietnam. 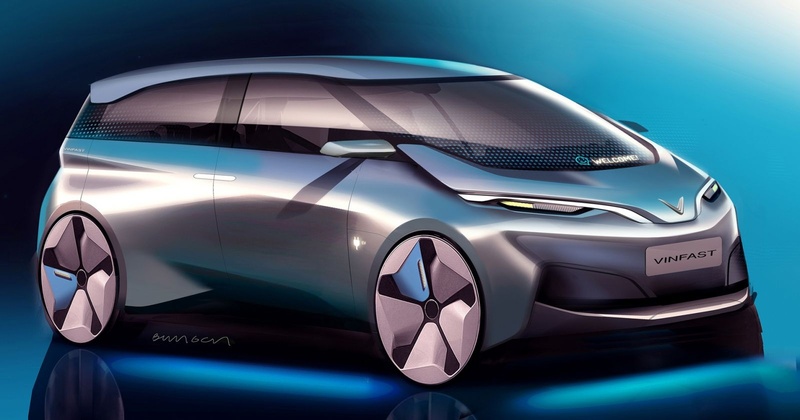 Besides the sedan and SUV, the automaker says it’s developing electric cars, city cars, electric buses, and electric scooters as well. I like what I see, would loved to see some interior renderings or schematic shots. LOL That made my day man. And hey it looks amazing. Little bit of the Volvo is very abvious. I love it. Well, huh… I do not hate this. It’s not going to set the world on fire. But it looks like a solid effort. Dayymn … they are actually sharp looking, nice! The profiles are. The front and rear clips look like transformers. At least they know what people want, crossover. I wonder if they would made a Diesel powered one? Nice looking cars, terrible brand name. Very curious to see what the powertrains are. 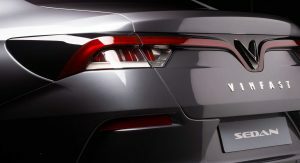 If the build quality matches the looks and the prices are reasonable, VinFast has a good chance at succeeding. On another note, these designs make me wish Subaru would contract out to an Italian design house. Indeed… the days of Giugiaro and his Subaru SVX are gone, sadly. I wonder if Vinfast can help Chrysler. They have the styling for it. 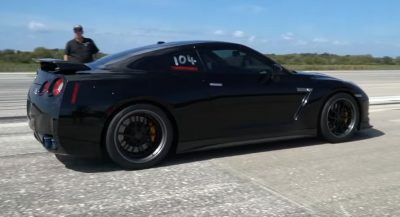 Impressive and don’t look half bad either, kinda bmw’ish. Not bad looking! Better looking than a lot of what’s out there actually! Make them at least hybrid…and there should be some sales there. A lot of cues from BMW/Mercedes/Volvo, but at the same time they give their designs good proportions and also a bit of personality, unlike the Chinese copycats. Somewhat derivative but not terrible. When you clinic, you often get less exciting designs. 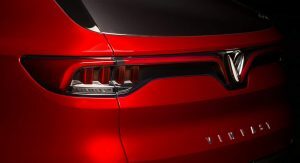 The VinFast SUV looks very upscale in design to the point that it could pass as a BMW midsize. Being based on BMW platforms certainly helps 🙂 . 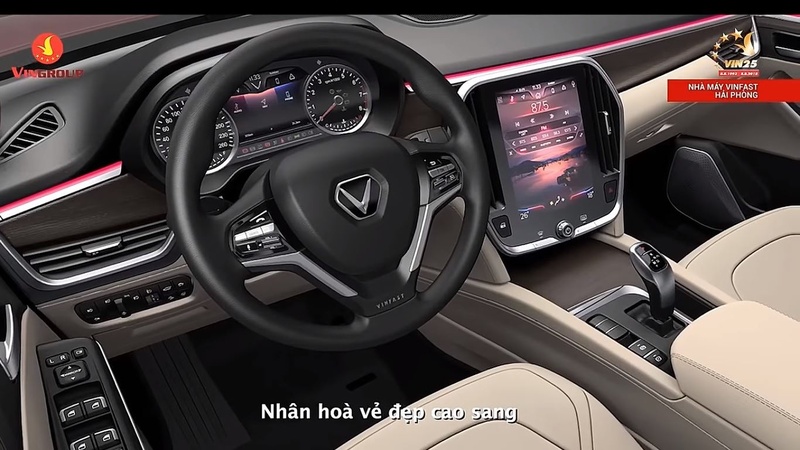 Targeting Vietnamese market and launch their car in Paris Auto Show, sure. Both the SUV and sedan are based on BMW platforms Power will come from license built BMW 2.0L engine. Wait ! 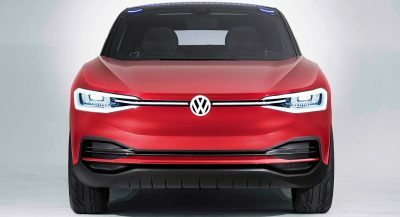 The best of the automotive design houses could only come up with a Camery with ugly front end ? Well, FCA brands have a century of heritage in the basket and can/have evolve their designs from that. Vinfast starts with absolutely nothing in the rear view mirror and even do public polls in order to make a car that is visually pleasing for the locals, even if going the rather “safe” route and hire italian designers with decades of experience, as did the japanese and koreans in their early days. Can’t help feeling the ‘nams are doing something very right here. They’re nice…but they kinda look like Renaults. Looks nice! I find it refreshing to see classic proportions with relatively low belt-line and taller windows. 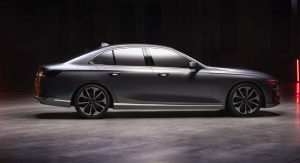 That side profile of the sedan is one of the best proportioned I’ve seen on any midsize sedan. Reminds me previous generation E and S classes, and with a little imagination, maybe even a previous generation A6 or A8. Well done.